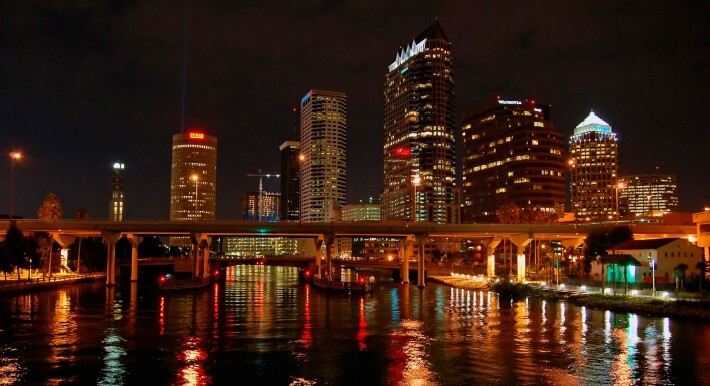 Of all the advantages of living in South Tampa, social life is high on the list. Everyone’s happy to see some buzz finally cropping up downtown, and Ybor City still has a few worthwhile destinations, but the SoHodistrict is the real sweet spot for bars, nightclubs, pubs, lounges, and every other possible combinations of people, drinking, and music. Here’s a quick overview of some of the best and most interesting spots on South Howard. MacDinton’s, 405 South Howard Avenue (http://www.macdintons.com/SoHo-Tampa): What most of us are looking for in a bar is a comfortable place to unwind after work, hang out with our friends, and maybe make some new ones before heading home. A place like MacDinton’s fits the bill, with a homey Irish pub atmosphere and a neighborly culture including frequent charity events and fun runs (Jogging and Guinness – a mysterious match). It’s also the place to be in Tampa if you’re a soccer fan. World of BeerSoHo, 402 South Howard Avenue (link: http://wobusa.com/locations/south-tampa): It’s a chain among one-of-a-kind neighborhood joints, but you can’t fault World of Beer’s comfortable atmosphere or its seemingly infinite variety of tap and bottled beers. The South Tampa location features what is clearly more important to a bar even than beer – Trivia, starting at 7pm. Watch out, though, as Wednesday’s discounts for University faculty and students might attract undesirable characters, like UT philosophy professors looking to talk Nietzche over a goblet of Tripel. THE HORROR. The Dubliner, 2307 West Azeele Street(link:http://thedublineririshpub.com/): It’s not as if you can have too many comfortable Irish pubs with great food. Like MacDinton’s, the Dubliner’s menu features Irish classics like Sheperd’s Pie and Fish and Chips. But the Dubliner claims the distinction of featuring an Irish Nacho Pizza, which is . . . well, you’ll have to find out for yourself. The Green Lemon,915 South Howard Avenue–(http://www.cicciorestaurantgroup.com/restaurants/green-lemon.html) – Formerly The Lime (see what they did there?) this is mostly a restaurant, with a sprawling Mexican menu. But they also have a huge, and surprisingly reasonably priced, tequila list. The Kennedy (2408 West Kennedy Blvd.) andHyde Park Café (1801 W. Platt Street) (links: http://www.thekennedysoho.com/ and http://www.thehydeparkcafe.com/) – Okay, in all likelihood you’re happy that your days of Jello shots, Red Bull and vodka, and sweaty dancing with multiple anonymous partners is behind you. But sometimes even the best grown-ups get the urge to cut loose and relive the worst/best nights of college. With throbbing dancefloors, celebrity appearances from the likes of Lady Gaga, and parties with names like “Menage Mondays,” thesetwo clubs have your arrested development covered. Just don’t blame me if the music sounds like robots going to the bathroom, or if that’s where you end up at the end of the night, curled into the fetal position and longing for your couch. Mangroves, 208 South Howard Avenue (http://www.mangroves-restaurants.com/): Luckily, catching up on the nightclub scene doesn’t have to be synonymous with a barrage of cheap booze and brain-melting music. If you’ve got a yin for partying but don’t mind being able to hear yourself think, Mangroves offers a more refined nightclub/lounge experience, including some amazing food. Whether you’re a real high roller, or just want to play one for the night, their VIP bottle service will let you keep an eye on the action from a comfy private booth. Oh, and ladies, hopefully the classy atmosphere will help you use your better judgment on Friday nights, when you can drink all you like between 9 and 11pm for just $10.